Teaching Assistant streamlines the task of printing, grading and analyzing multiple-choice test results using popular bubble sheet forms. 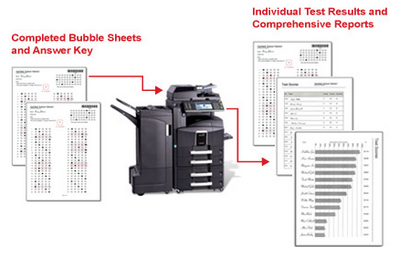 With Teaching Assistant, the Kyocera or Copystar HyPAS-enabled MFP does the work; educators can concentrate on the students and lesson plans, not on the time-consuming, error-prone process of manual test grading. As an embedded app that runs on the Kyocera or Copystar MFP, Teaching Assistant does not require network resources and IT support. What’s more, there is no server software to install or PC to connect. Teachers and support staff value its intuitive touch-screen operation, where an unlimited number of bubble sheets can be printed. The finalized tests are scanned, via Teaching Assistant, with test scores and associated reports immediately available; there’s no wait! Comprehensive analytics even drill down to the 10 easiest and 10 most difficult questions, enabling educators to identify strengths and weaknesses, and gear classroom instruction accordingly. 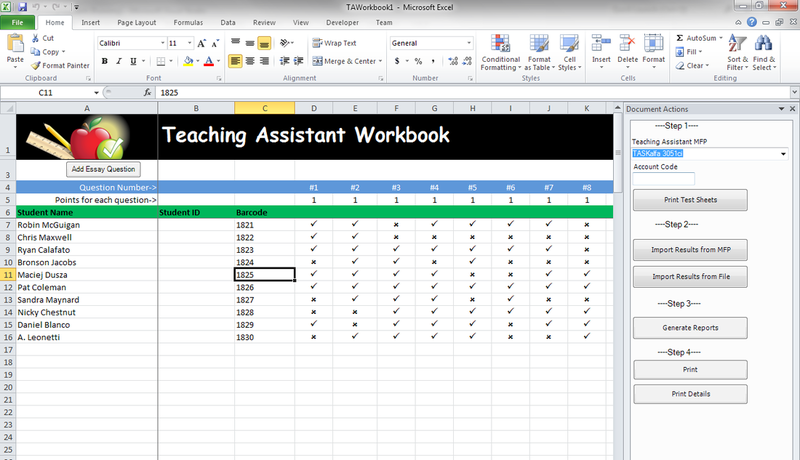 With direct integration into Microsoft Excel 2010 or higher, teachers can use the data for statistical purposes throughout the semester. Also, teachers have the ability to incorporate essay questions into their exams and the capability of printing test sheets with student names. Finally, student and test information are also kept secure since Teaching Assistant clears all test data from the MFP after every job. The value of Teaching Assistant extends beyond K-12 school districts and can be easily deployed in corporate environments for product, sales and service training programs. Teaching Assistant is a registered trademark of Kyocera. Microsoft Excel is a registered trademark of Microsoft Corporation.